On Saturday 13th October, Bishop’s Stortford Swimming Club participated in the opening event of the London National Arena Swimming League for 2019 at Becontree Heath in East London. The National Arena Swimming League consists of 3 rounds of Inter Club swimming matches between now and Christmas, with the winning teams going through to the National Inter Club Final. Swimmers were selected on timed performances across 4 age categories – Open, 15 & Under, 13 & Under and 11 & Under (based on age at 31stDec 2018). Events consist of Freestyle and Medley Relays and individual races in all strokes. 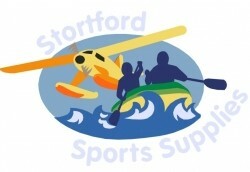 After a successful performance last season, Stortford were promoted to the Premier League and so were swimming against 7 of the top 15 clubs in the London Region. The pressure was on! We saw some amazing performance across all ages, resulting in Stortford coming in overall 5th, beating our points and position target for the evening. An outstanding result! Particular highlights were Millie Fields, winning 15 & U 100m Freestyle (58.41) as well as a 2nd in the Open Individual Medley and 3rd in 15 & U Breaststroke, Kaia Phillips, continuing to perform across multiple races, including a 2nd in 13 & U 100M Backstroke (1:12.48), Elliott Iacona, returning for a superb 2nd in the Open 100M Freestyle (54.31) , Alex Catton winning the 15 & U 100M Backstroke (1:00.56), James Gisborne, scoring a 2nd in 13 & U Breaststroke (1:16.39) and Eliza Andrews, our youngest swimmer, scoring a PB and a county time in 11 & U 50M backstroke. Particular mention should go to the 11 & U swimmers, many of whom were attending their first inter club gala and all performed exceptionally well, and the parents up in the gallery who were determined not to be outdone or out sung by the Ipswich army!